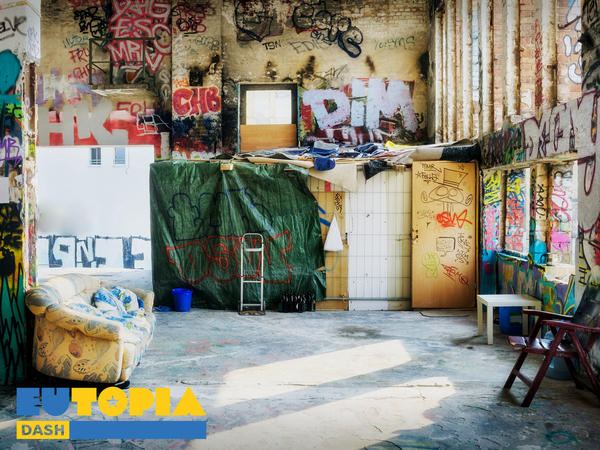 Installation, debating chamber, and performance venue, as part of Open House London 2018, Dash Arts Euro-Squat invites you into a provocative and compellingly essential vision of Europe. Over the course of the weekend of 22nd – 23rd September at Rich Mix, The Squat will take you through 70 years - from post-war destruction and housing shortages, 1960s and '70s utopian communities, to post 1990s artistic collectives and migrant integration. Impromptu music gigs, theatre, art-actions, and late night DJ sets await alongside a warm welcome and endless drinks and snacks. Help build our counter-cultural community; sip hot tea or something stronger; join the urban social movement; engage in fevered political discussion with special guests and enjoy spontaneous music and theatre from across Europe where audiences are part of the performance. 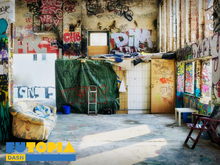 Dash Arts' Euro-Squat is curated by Dash Arts co-Artistic Director Josephine Burton with Dash Arts Creative Associate Bryan Woltjen and packed with hidden text, musicians, actors, activists and thinkers. Supported by Tower Hamlets Council.